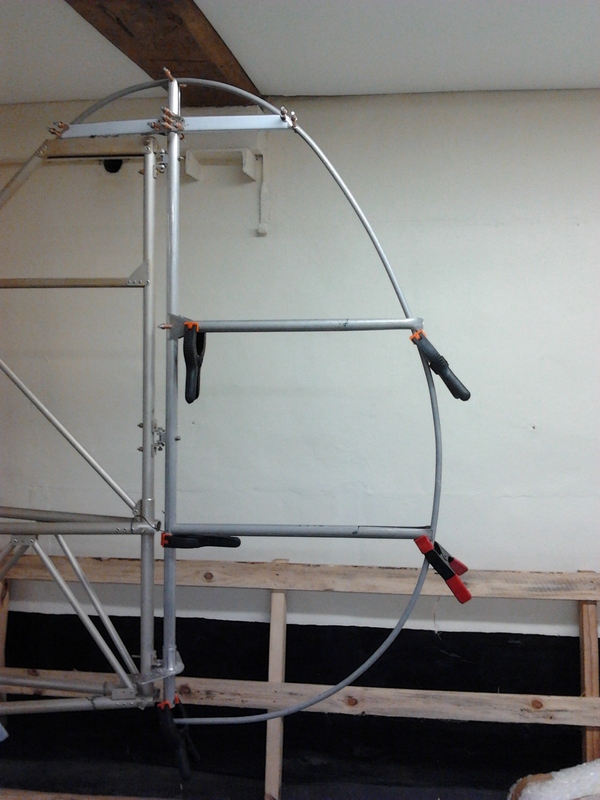 The top rib consists of two halves that need to be shaped around the ruudder post and then trimmed at the leading and trailing edge to fit around the shape of the rudder trailing edge. The rudder trailing edge is provided pre shaped but oversized so you need to trim once you have applied your first temporary cleco fit. Paul advised to start at top rib first and work down. Cutting through the top rib halves made me feel it would weaken this piece too much as it has to fit snugly to the rudder post. Far from it .. once cleco’d it is incredibly stiff and looks like it could take great force ! 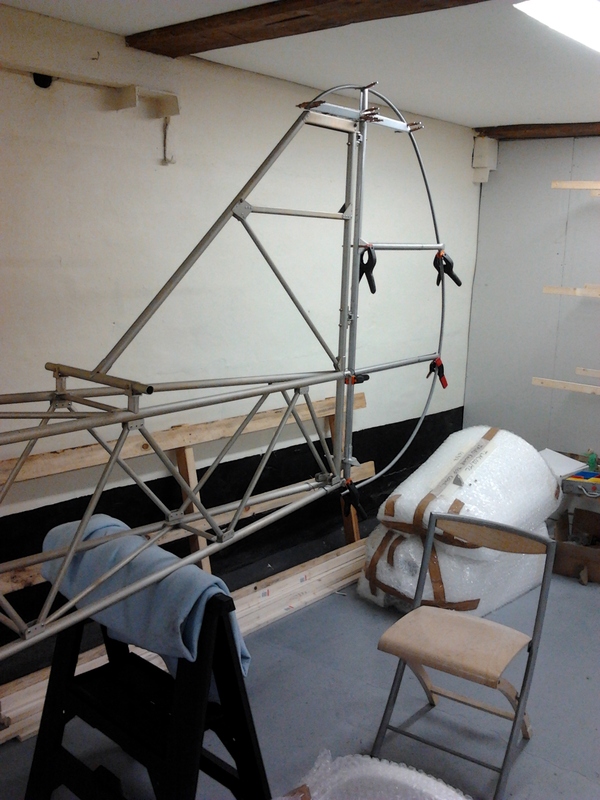 Starting to look like a real aeroplane ! 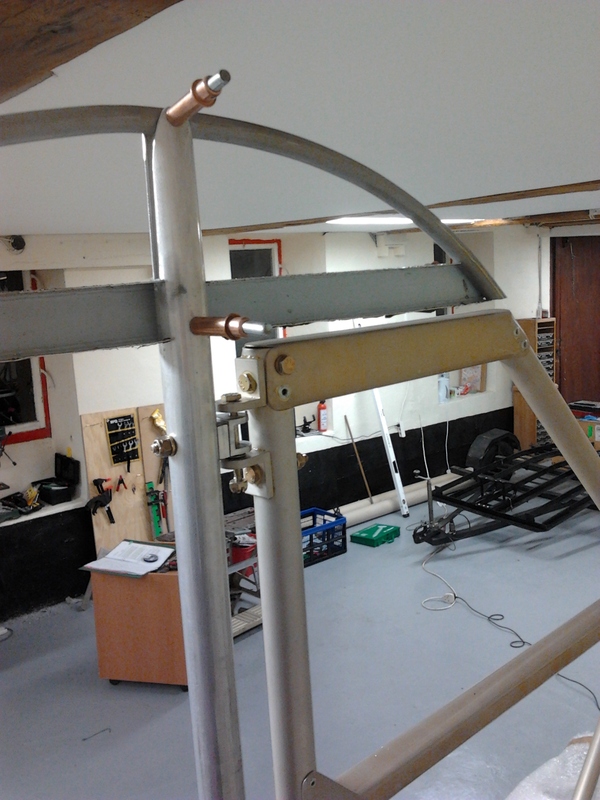 As each rib is shaped and secured (with clecos initially) the rudder trailing edge will finally be trimmed at the bottom of the rudder post where it sits in a 13mm hole right through rudder post. Post needs to be shaped and hinges drilled out and set. Wasnt sure I could accurately cut the elongated ‘V’ into the top of the post and the trailing edge of each rudder rib so got a local company to assist. They marked and cut with a grinderandmade a great job. 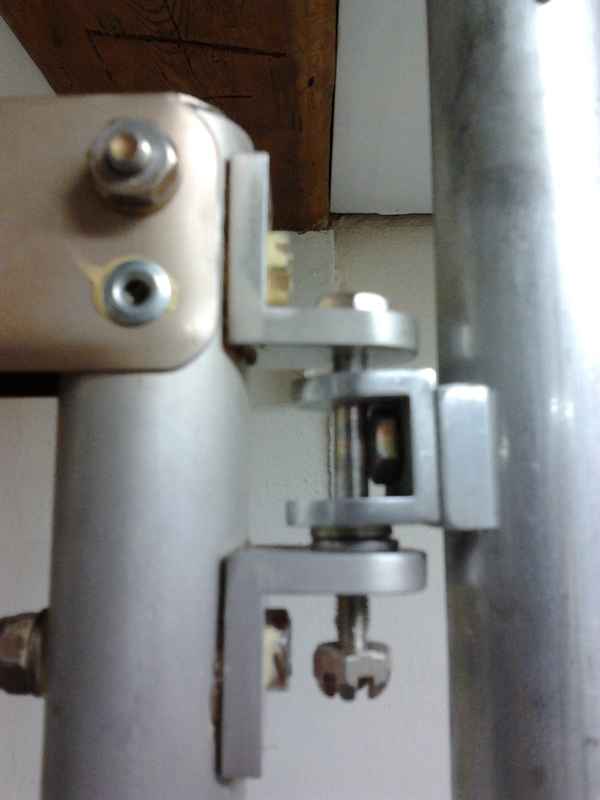 Hinges are pcked with temporay washers to get the hinge sitting in the middle of the bracket. 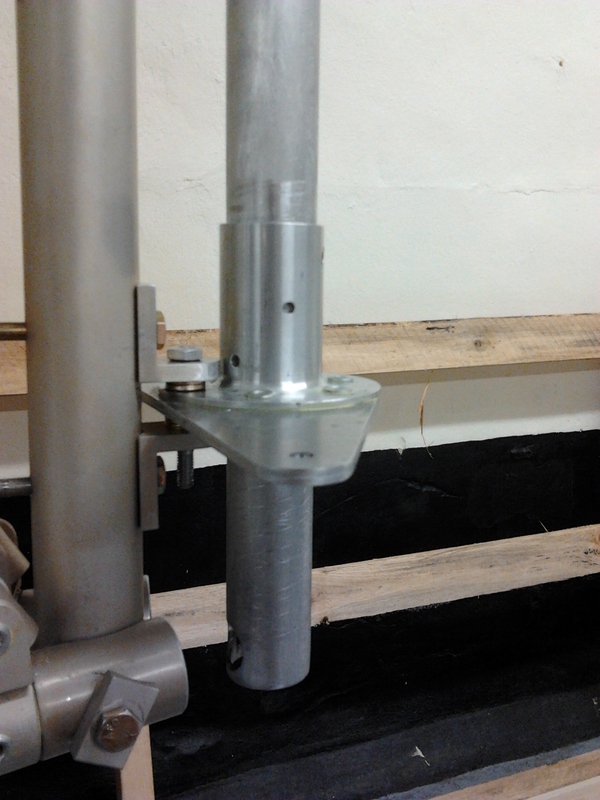 Rudder horn is cut from plate, drilled to take alloy turned collar and then pushed onto bottom of rudder post. This proved quite tight and so had to be chamfered down to take. Rembering to leave rudder leading edge hole rivet free to act a hinge point. Before mounting, drll 13mm hole through bottom of rudder post to take trailing edge, then temporary first fit to see it it looks right ! 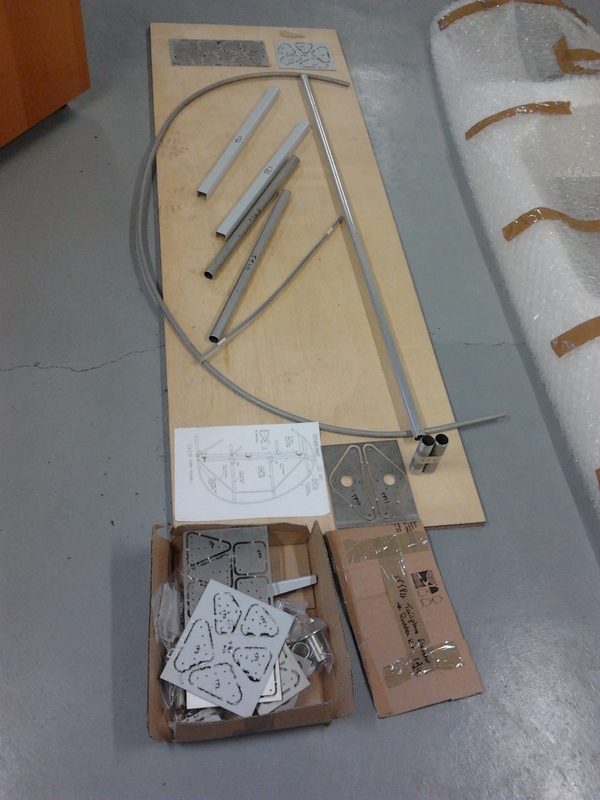 Identify all the rudder parts .. these include the nicely pre shaped trailing edge from the factory. 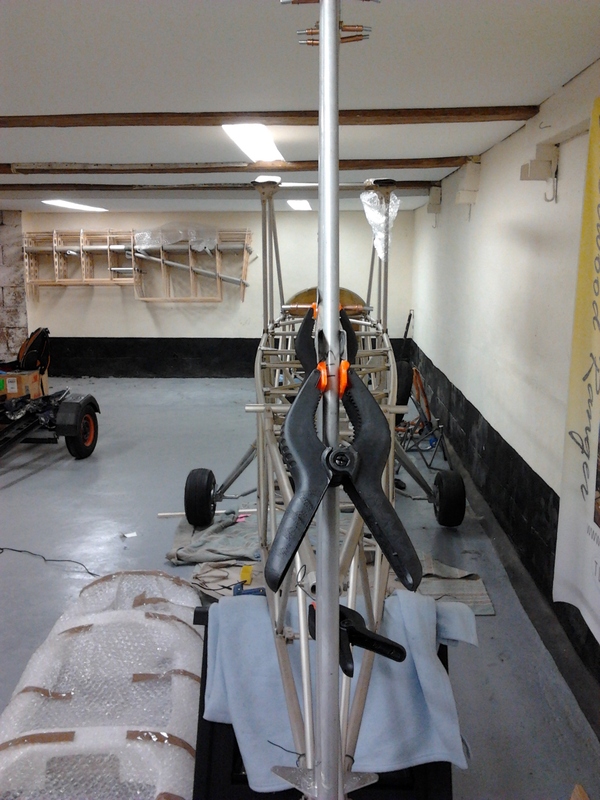 The rudder post and two main ribs need to have ‘V’ slots cut in to allow them to be shaped around the trailing edge. The top ribs need to be marked up as per diagram and trimmed, finally found some good cutters that do the job. 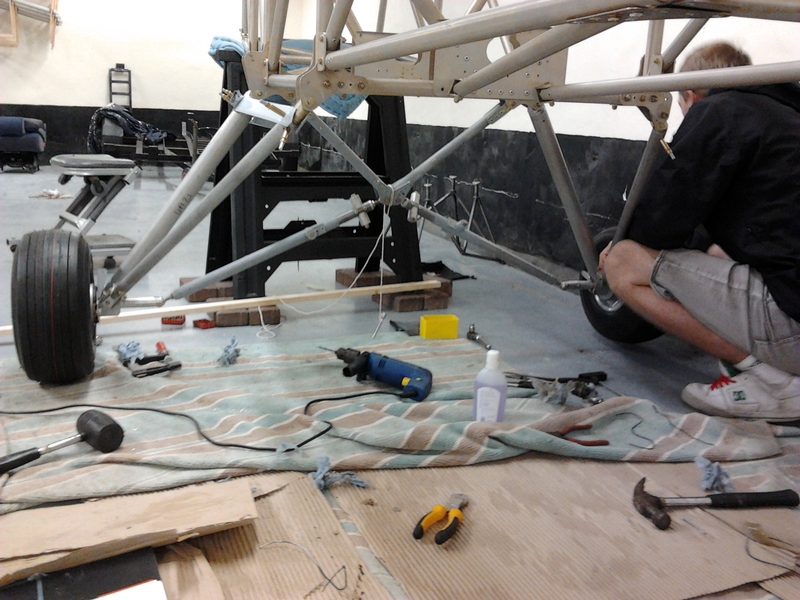 Assembly is in situ making sure everything is lined up. 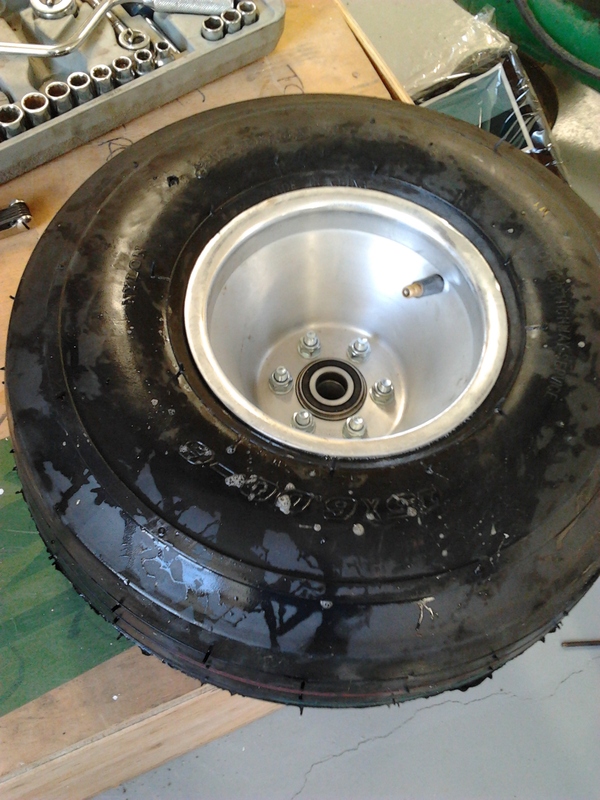 Drilled out the inner half of the hub to accept the 6 fixing bolts. 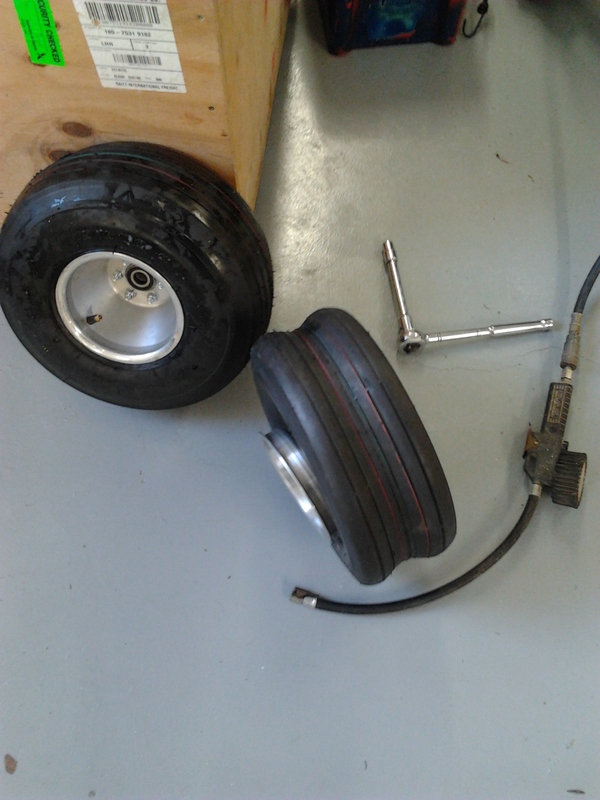 Then seated the larger half into the tyre centre, carefully pulling the valve through the valve hole (drilled earlier). Make sure it seats comfortably and is not straining the valve or jamming the inner tube at all. Use fairy liquid around the tyre inner rim to help it pop onto the rim as you fill with air. Boy does it go with a bang ! ..make sure your fingers arent nea the lip when its filling ! Bolt the other half of the hub in place tightening opposit diagonals to make sure it tightens evenly. 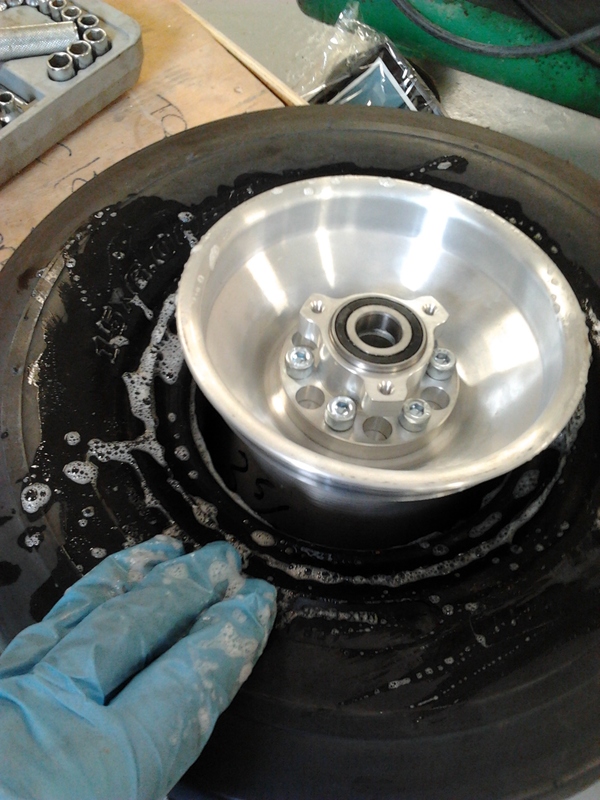 Then soap the tyre inner edges on both sides to encourage it to pop out onto the rims when you inflate. It takes a while for it to pop out so make sure you keep your fingers clear. With two loud bangs it pops onto the rim ! Now deflate completely … I bounced it a little to make sure it sat evenly, then reinflate to standard pressure (2 Bar). Check bolts again. Just need the yellow paint to mark the witness marks. 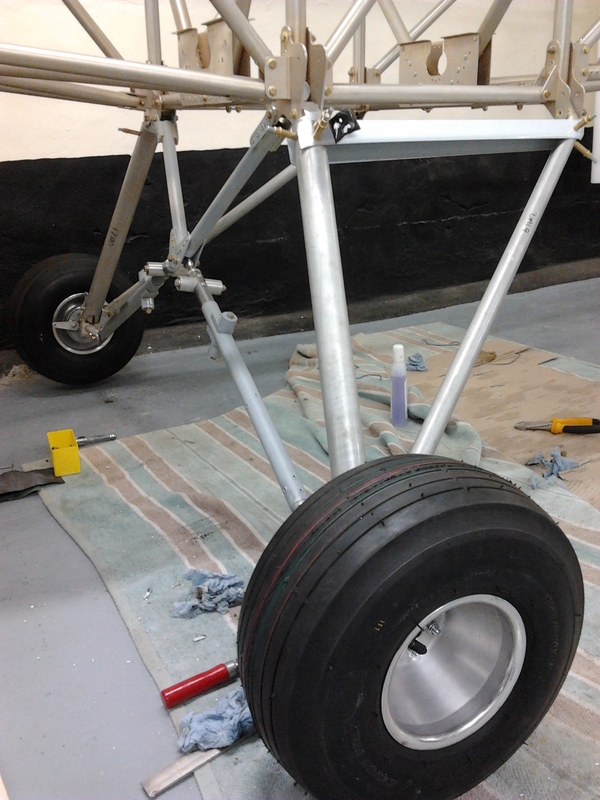 Got all the parts for the tailwheel out and prepared by etch priming all metal parts. I have been using a small hand aerosol etch prime (silver/grey) with a view to re etching the whole body with the kit supplied gold etch when all tail feathers and rudder are on. 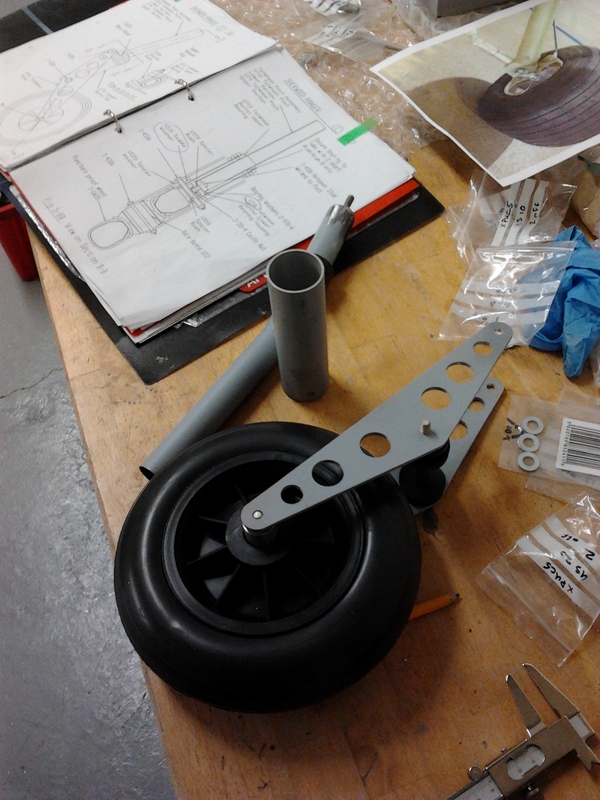 Tailwheel parts are nicely formed and very strong. A few items require drilling out but ‘soft’ assembling lets you check your reading of the tech diagram so all parts are seated correctly and line up nicely. 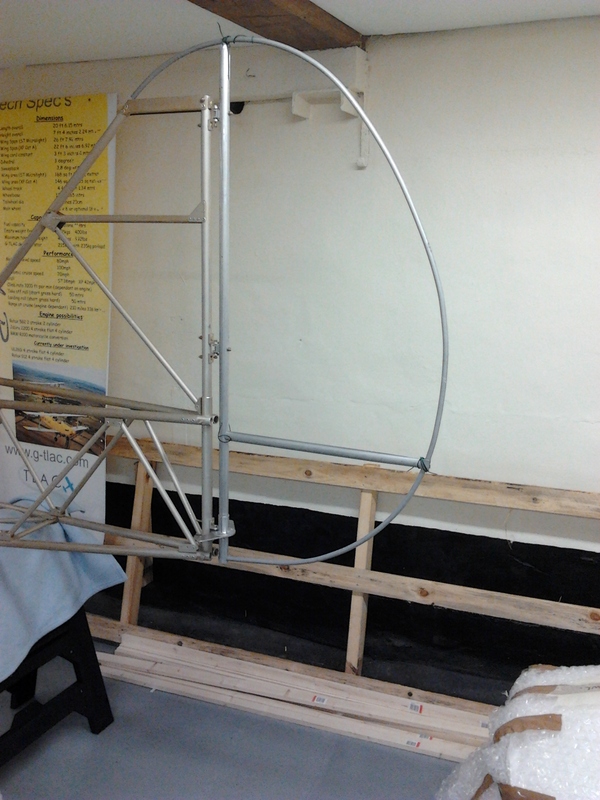 As I have opted for the steerable tailwheel, I have some other parts in the kit to add on so seeking advice from Paul. The Stampe I used to have the pleasure of flying was my first use of a fully castoring tailwheel and was great when you got it right and buttock clenching when you got it wrong ! Remember once taxying downhill at Jersey with an Airbus 320 about 30 yards behind me …. the wind caught and I went for the brakes but caught one and it did a 180 so I ended up looking up at a grinning BA pilot ! So Steerable for the Sherwood will be a bit more predictable when trying to park on busy fields in tight spaces ! 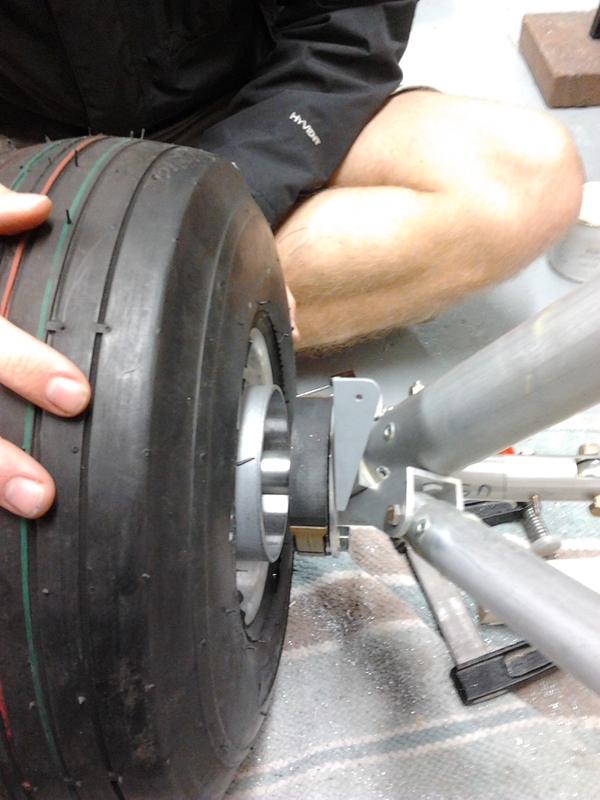 To check all alignment, temporary fit of brake backplates and then slip on spacers then wheels over that. 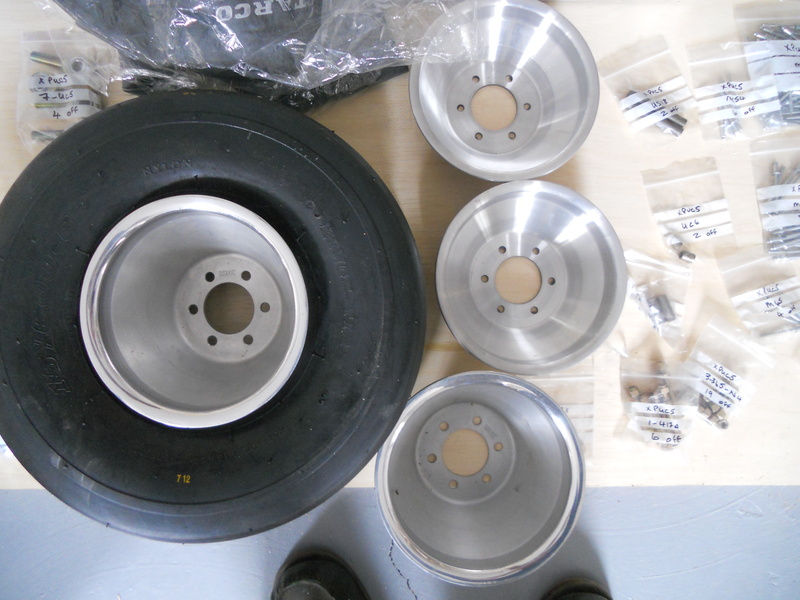 The wheels had had the brake drums painted with silver Hammerite on the outside surface and then bolted to the wheel bearing housing. Had to raise the body slightly on the tressles to get full wheel clearance but wheels spin freely and brakes grab nicely when the levers are pulled.